We are planning a little kitchen revamp soon, following the introduction of the new Fridge Freezer although it will only be a small update. I’m looking forward to invigorating the space and injecting a few new trends and ideas to update it. If you’re planning anything similar, whether big or small, you may be interested in some of these ideas, looking at trends for kitchens at the moment. A great way to update any kitchen space is to add a little pattern or print. There are various ways to do this, often through wallpaper (although you’ll need good ventilation of course) but also through tiling, which has become very popular in recent seasons. 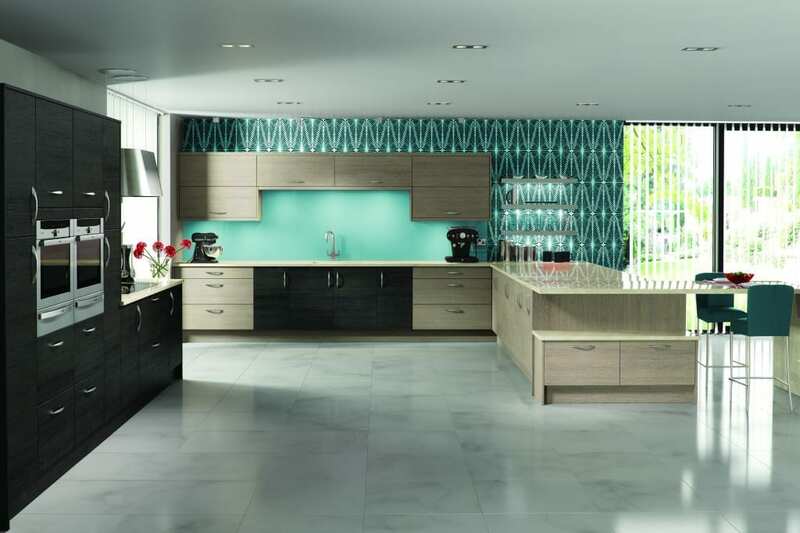 You could also look at patterned splashbacks, if a whole wall of pattern isn’t for you. Geometric or graphic prints will give your room a contemporary feel. This trend has been growing for a few years now and is still going strong. 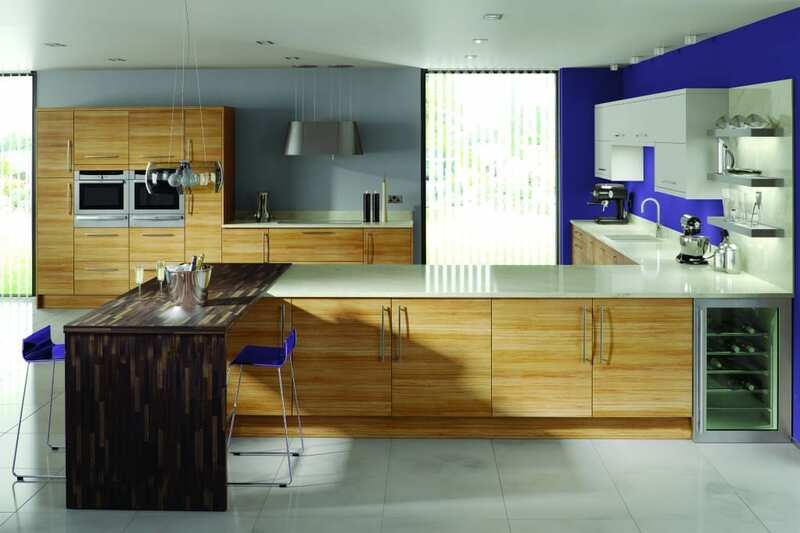 Mix your wood types, colours and textures to give depth and interest in the kitchen. Here, a breakfast bar has been created in a contrasting wood colour and, combined with the bright blue colour pop chairs, adds a focal point to the room. 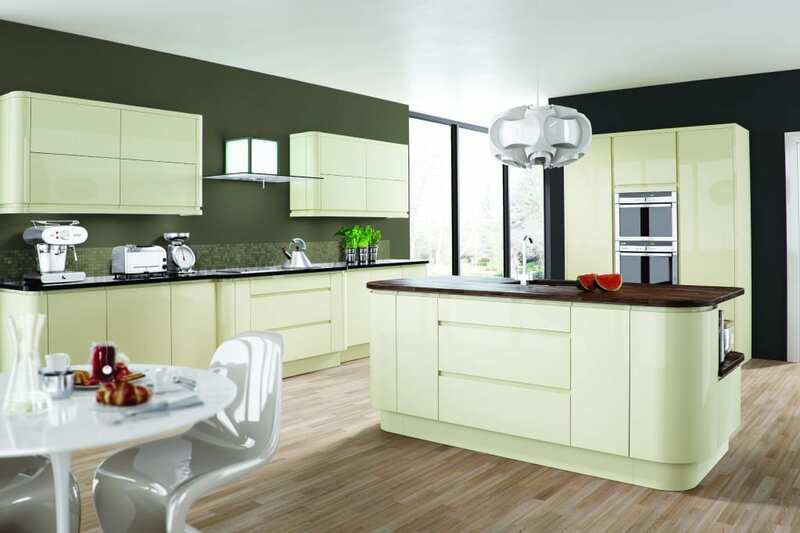 Create a look like this quite easily, either when you install a brand new kitchen or update an existing one. Even if you don’t live in a New York warehouse loft, you can still add elements of the industrial look to any modern kitchen. If, like me, you don’t want a complete industrial look, adding just a few pieces or textures will help give the feel of this type of space. Here the brick wall or wallpaper in the distance, the flooring, the Eames style dining chairs and the rustic coloured kitchen cabinets are all reminiscent of the industrial look. 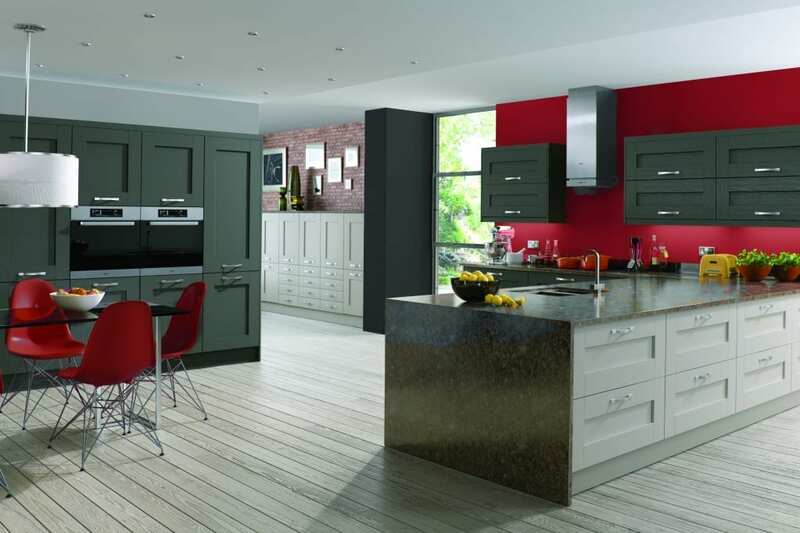 Making a bold statement in your kitchen, as in many parts of your home, is still very popular and here, the contrasting dark walls with light kitchen cupboards is very striking. It’s sleek and contemporary too, with no visible cupboard handles, chunky steel kitchen accessories, and tiling in the same colours as the walls, helping it to blend in. The rounded curve of the breakfast bar help to soften the minimal feel. So, are you a fan of any of these looks? 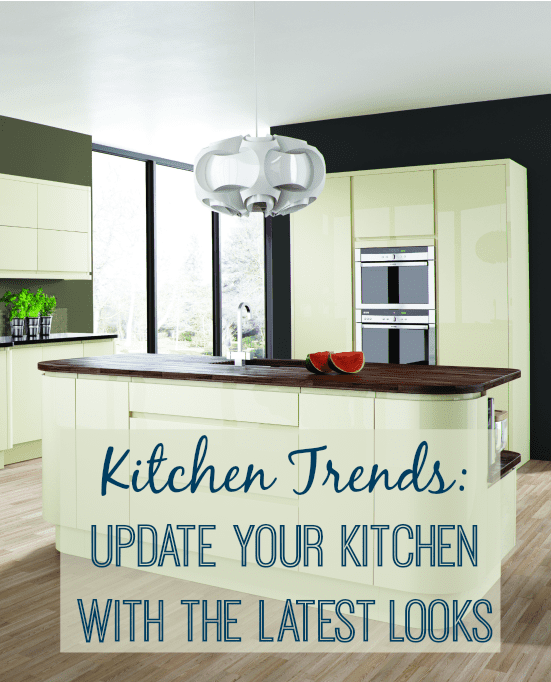 Could you use them in your own home to update your kitchen space?